Organizers: IUCN Specialist group on Cultural and Spiritual Values of protected Areas (CSVPA), the IUCN World Heritage Program and the US National Park Service. Facilitators: Tim Badman (IUCN World Heritage Programme), Diana Allen (United States National Park Service), Edwin Bernbaum ebernbaum@mountain.org (IUCN CSVPA) and Bas Verschuuren basverschuuren@gmail.com (Sacred Natural Sites Initiative). Mt. Kailas is a transboundary protected area and World Heritage site in the making. 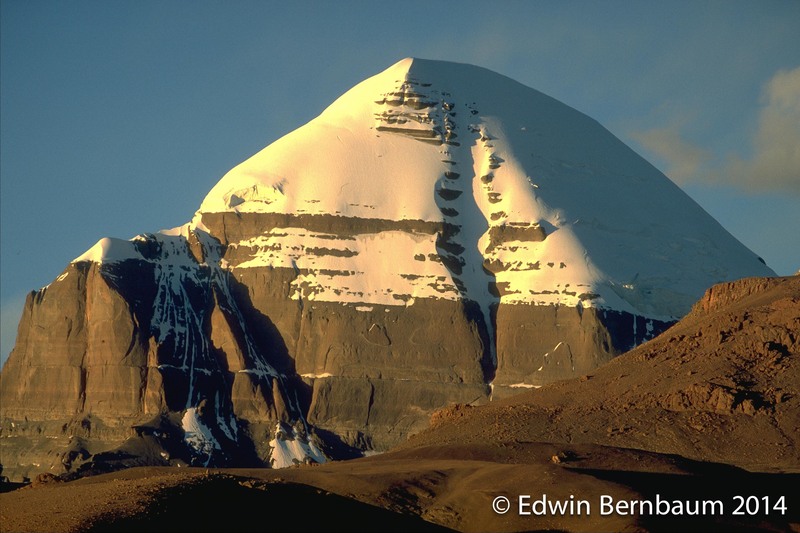 The Kailash Sacred Landscape (KSL) covers an area between India, Nepal and China and embodies the sacred values and beliefs of Hinduism, Buddhism, Jainism, Bon and Sikhism. Here sacred sites serve as mediating points between multiple stakeholders to dialogue about nature conservation. Photo: Edwin Bernbaum. Format: The session will have a series of ‘rapid fire presentations’ that will close with a discussion hosted by a panel made up of the presenters. Purpose: Explore the links between our health and wellbeing and that of sacred nature and make recommendations for “The promise of Sidney”, the WPC outcomes document. Description: Sacred Natural Sites and human well-being are closely interlinked and play a rich and significant role in the cultural identity, spirituality, knowledge and governance systems of communities around the world. Many sacred natural sites have often been the foundations for protected areas and World Heritage sites and inform conservation practice and ethics. This session will explore the links between our health and wellbeing and that of sacred nature. The session will cover elements of science, traditional knowledge, policy and practice and will close with discussion and offering recommendations for “The promise of Sidney”. Bringing together nature and culture in the nomination, inscription, and management of World Heritage Sites in ways that improve the well-being of people and the health of the environment. Lessons from the connecting practice and World Heritage Benefits projects with reference to sacred natural sites. Case studies from two World Heritage Sites – Hawai’i Volcanoes and Great Smoky Mountains National Parks – on interpretive programs that have enriched visitor experience and enhanced the spiritual and physical well-being of Native Hawaiian and Cherokee communities and individuals. Presentation 3 – Bas Verschuuren; Sacred Natural Sites Initiative and Danil Mamyev; ‘Uch Enmek’ Indigenous Nature Park. Human rights dimensions of sacred natural sites in World Heritage Sites and their implications for human well-being and the conservation of nature in protected areas and World Heritage sites. Example from the Russian Altai. Community well-being in bio-cultural landscapes – exploring the wider aspects of human well-being, cultural and spiritual, in relation to sustainable development and the conservation of parks and protected areas. The presentation examines how well-being in this broader sense is understood and managed in a variety of ways in different cultures and at different geographical scales. Sacred sites are places of energy that embody a relationship between people and the cosmos. 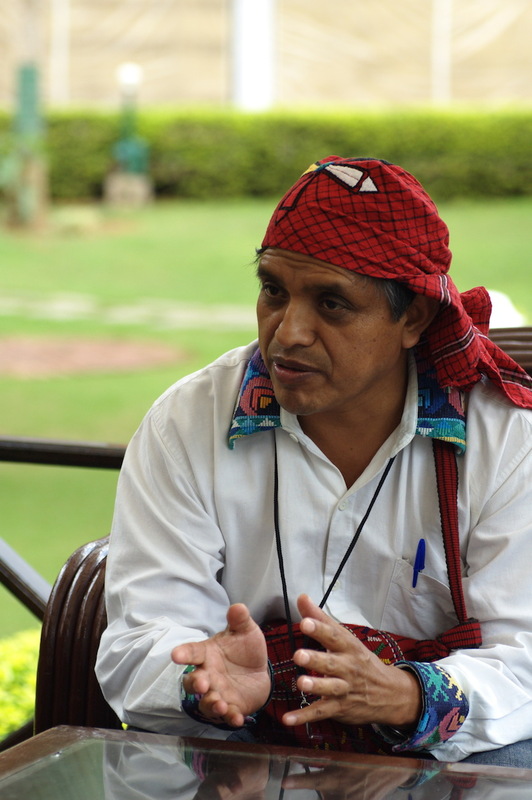 Traditional Mayan healing practices have agency in sacred sites but they also relate to community well being in the broader landscape. The role of sacred natural areas protected by indigenous communities in Eastern India in community rejuvenation. Sacred natural sites become places where communities culture are revived, sometimes even in a political sense. Performing indigenous ecological culture at sacred natural sites provides a possible alternative to mainstream culture and conservation. Presentation 6 – Josep-Maria Mallarach; The Delos Initiative and Silene Association. Sacred natural sites of mainstream religions for community well-being in World Heritage Sites and Protected Areas. The case of the Christian monastic republic of Mount Athos in Greece: The Byzantine tradition alive, healthy ecosystems and healthy monastic communities with a millennial old governance system in place.